Common Compass has been conducting workshops with our senior-level students to help with strategies around mental health, anxiety, time management and stress management. 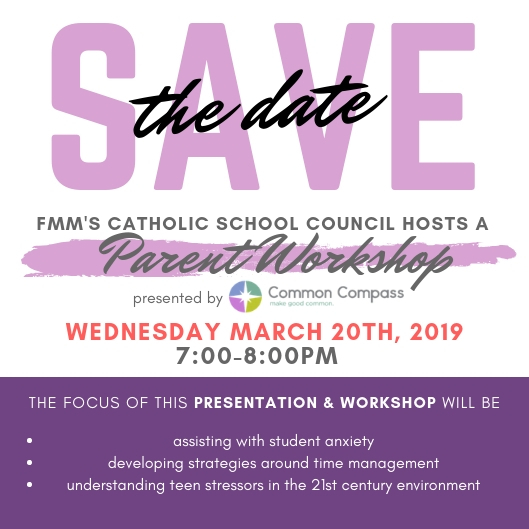 The Parent Workshop Evening is a direct complement to these workshops and will give parents concrete ideas and strategies to support their teens and to help with managing their stressors at home. We look forward to seeing many parents on the evening of the 20th!